The fit of the bridle is the most important thing for us at PS of Sweden. Together with one of the best showjumpers in the world, Henrik von Eckermann, we have designed this unique bridle with amazing features that you and your horse will love! 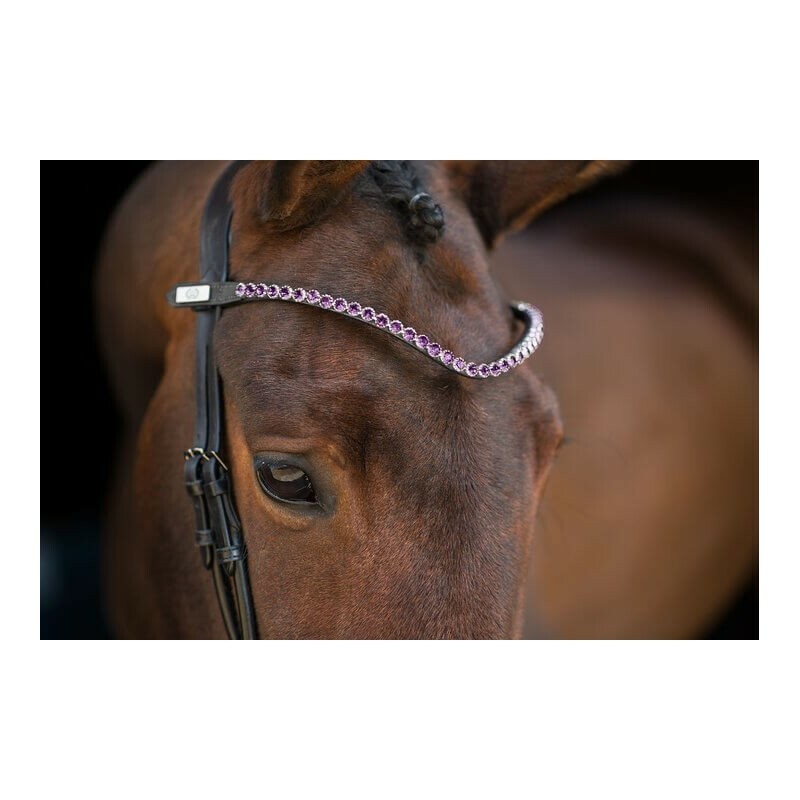 The bridle comes with two interchangeable nosebands for added flexibility. A formable noseband in round-sleeved leather that gives a sharper effect as well as a sleek flat noseband with soft padding. The unique neckpiece fit has a generous air tunnel in the soft padding for increased freedom of movement and reduced pressure across the sensitive neck. The cheek pieces and the noseband have multiple and closer holes for greater adaptability, as we all know that small adjustments make a big difference. The cheek pieces have our patented elastic Cradles™, which allow the bit to suspend in the horse’s mouth. This also helps to even the pressure across the neck. As Ps of Sweden team is perfectionists, Henrik von Eckermann and PS of Sweden have spent many hours testing and developing the unique features of this bridle to ensure its quality and fit. Les rênes sont vendus séparément.